Everyone loves a good cartoon and this particular character has captured our hearts on the animated screen for decades. Dressed as a noble king with a proper carrot as a sword, this beloved comic rabbit is a fun and mischievous addition to your collection. Steinbach introduced this licensed nutcracker in 2000. 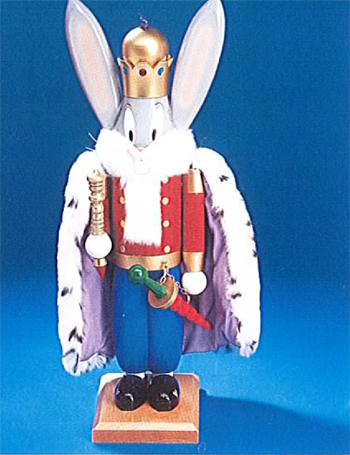 As one of the most loved, hare-brained rabbits in the world Steinbach presents the Bugs Bunny (ES962) nutcracker.